Carnivalesque is Neil Jordan's take on the old Irish folklore about children kidnapped by fairies, refracted through the curious prism of a Bradbury-esque dark carnival. Andy falls into Burleigh's Hall of Mirrors and becomes Dany, a carnie in a ghostly circus of immortals, children become fey and estranged from ordinary humanity. Caught between worlds, remembering his mother but growing into a strange new life, Dany illustrates the painful progress of growing up, the way the modern world builds itself on the ruins of the past, and how a life in art displaces mundane reality. Jordan's novel is vast, complex, endlessly allusive. Once you lose yourself in it, it is already too late: kidnapped, you can never come back. Magical storyteller Neil Jordan steps into the realm of fantasy--for fans of Jonathan Strange & Mr. Norrell and The Watchmaker of Filigree Street. It looked like any other carnival, but of course it wasn't. The boy saw it from the car window, the tops of the large trailer rides over the parked trains by the railway tracks. His parents were driving towards the new mall and he was looking forward to that too, but the tracery of lights above the gloomy trains caught his imagination . . .
Andy walks into Burleigh's Amazing Hall of Mirrors, and then he walks right into the mirror, becomes a reflection. Another boy, a boy who is not Andy, goes home with Andy's parents. And the boy who was once Andy is pulled--literally pulled, by the hands, by a girl named Mona--into another world, a carnival world where anything might happen. Master storyteller Neil Jordan creates his most commercial novel in years in this crackling, cinematic fantasy--which is also a parable of adolescence, how children become changelings, and how they find their own way. Neil Jordan was born in 1950 in Sligo. His first book of stories, Night in Tunisia, won the 1979 Guardian Fiction Prize, and his subsequent critically acclaimed novels include The Past, Sunrise with Sea Monster, Shade, Mistaken, and The Drowned Detective. The films he has written and directed have won multiple awards, including an Academy Award (The Crying Game), a Golden Bear at Venice (Michael Collins), a Silver Bear at Berlin (The Butcher Boy), and several BAFTA awards (Mona Lisa, The End of the Affair). He lives in Dublin. "Spellbinding . 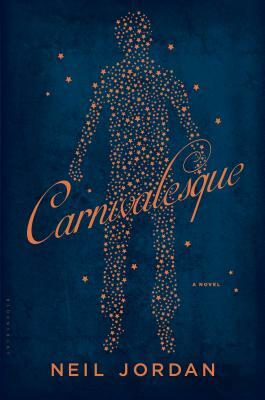 . . Carnivalesque contorts with magic and otherness, conjuring an eerily seductive shadow world." - O, the Oprah Magazine, "20 Books of Summer"